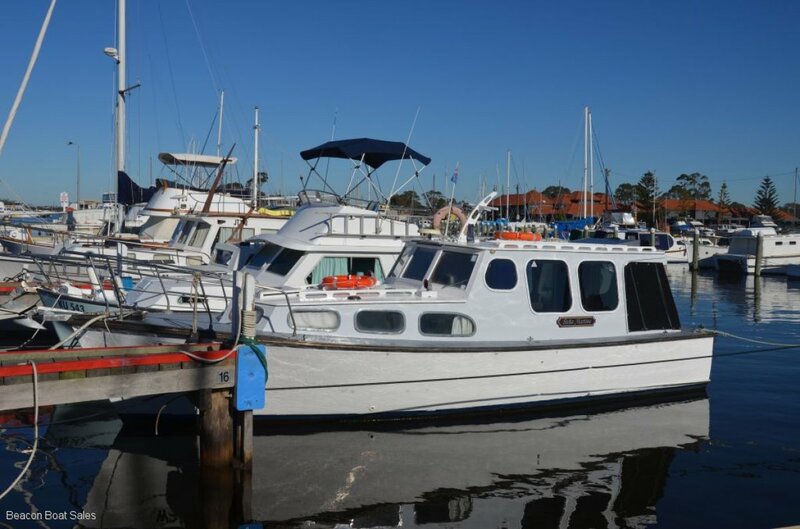 Built in 1958 by GS Hunt in Melb. 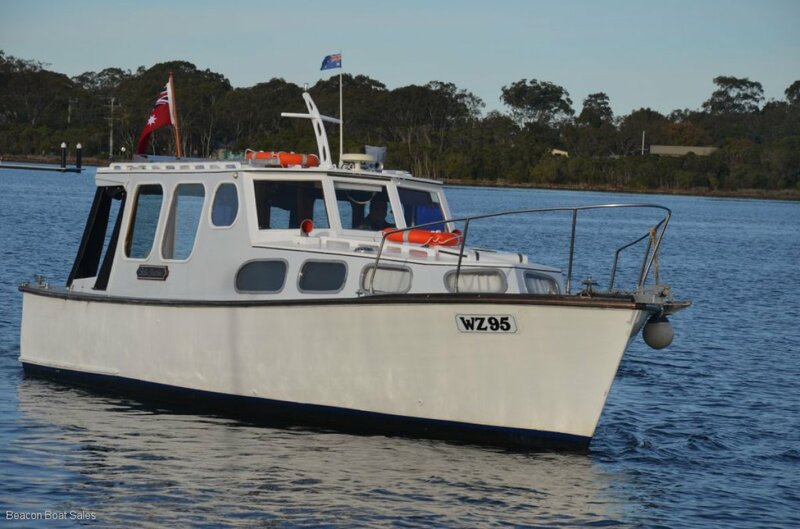 Stella Martina is a round bilge shoal draft transom stern sedan with GRP sheathed decks and plywood superstructure. 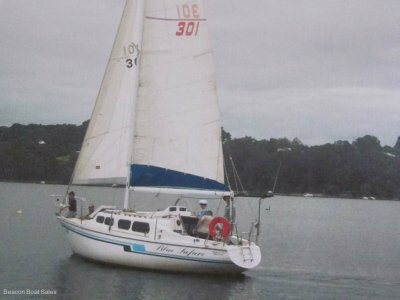 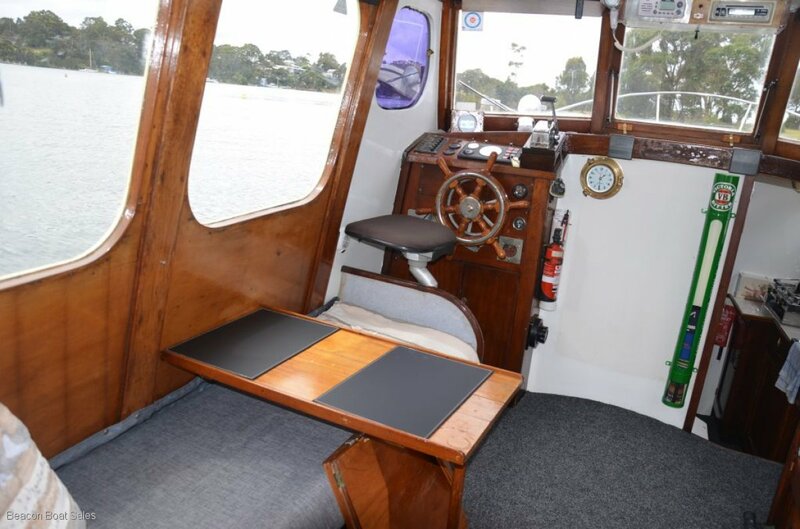 NZ kauri pine carvel hull with 11ft beam and 3 ft draft ideal for the lakes. 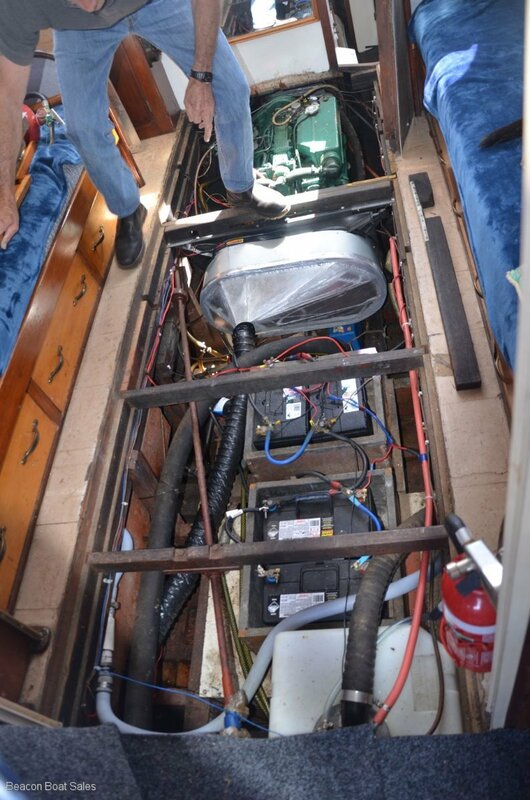 Powered by M60 Perkins diesel shaft drive. 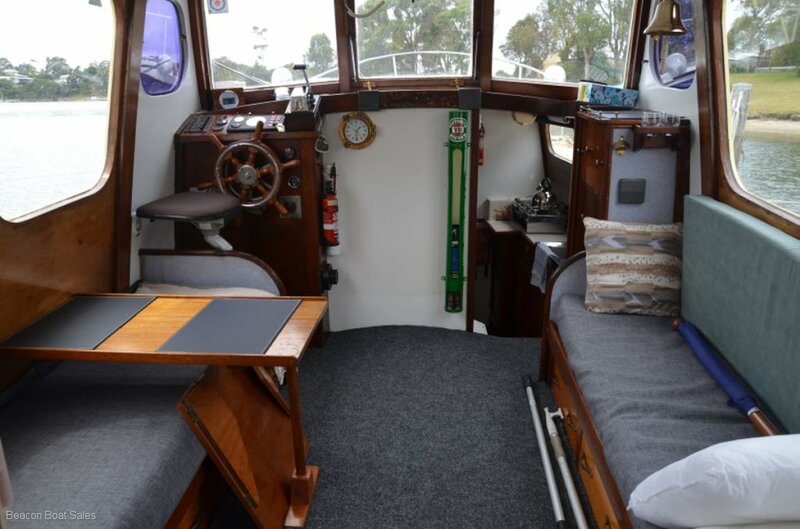 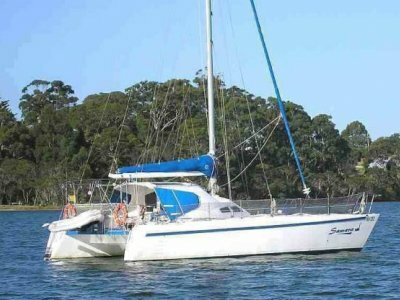 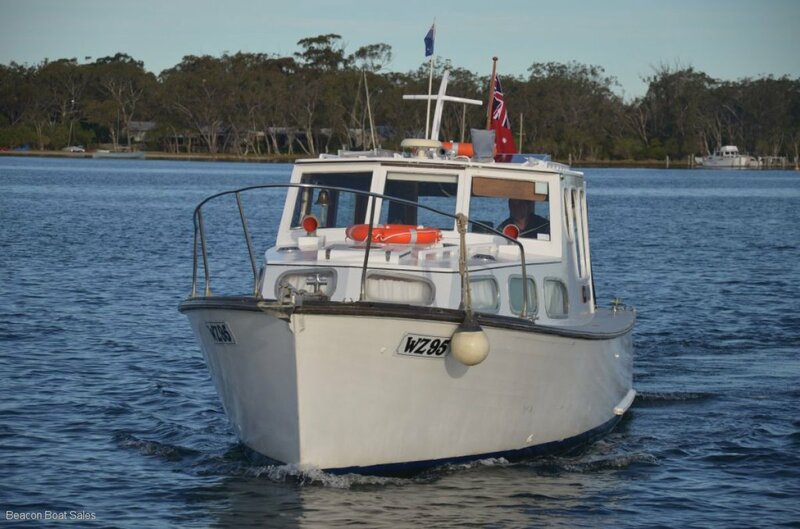 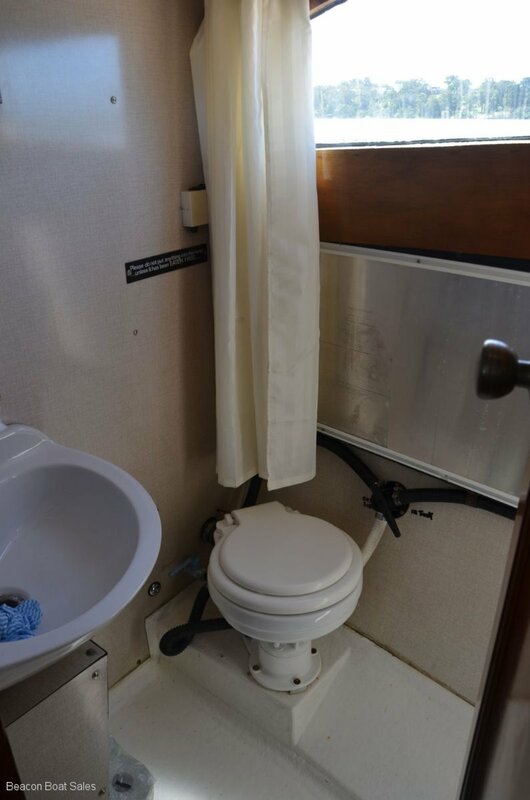 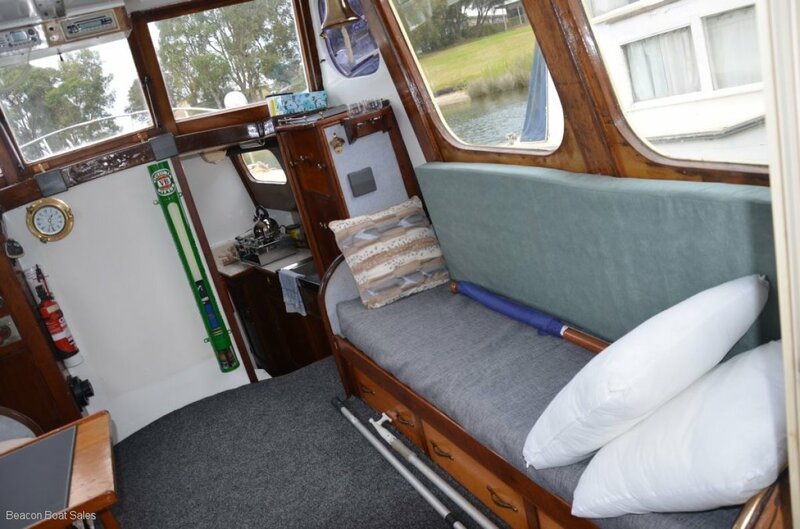 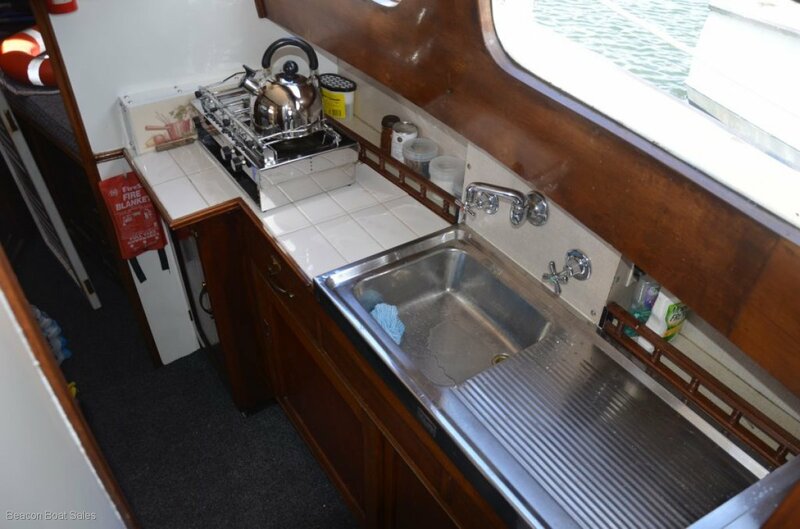 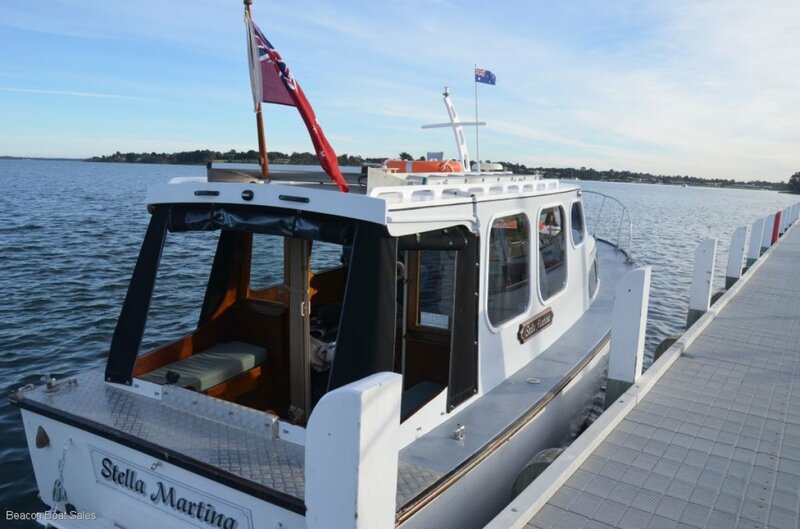 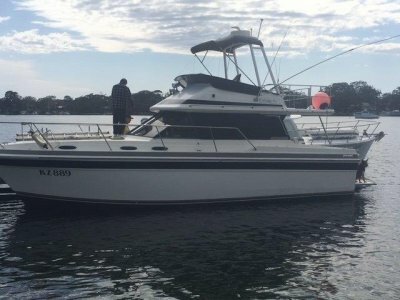 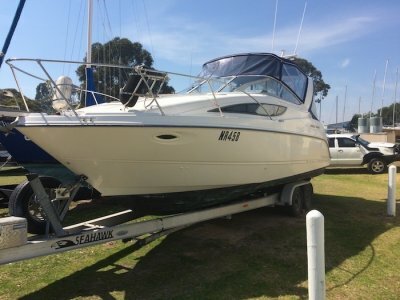 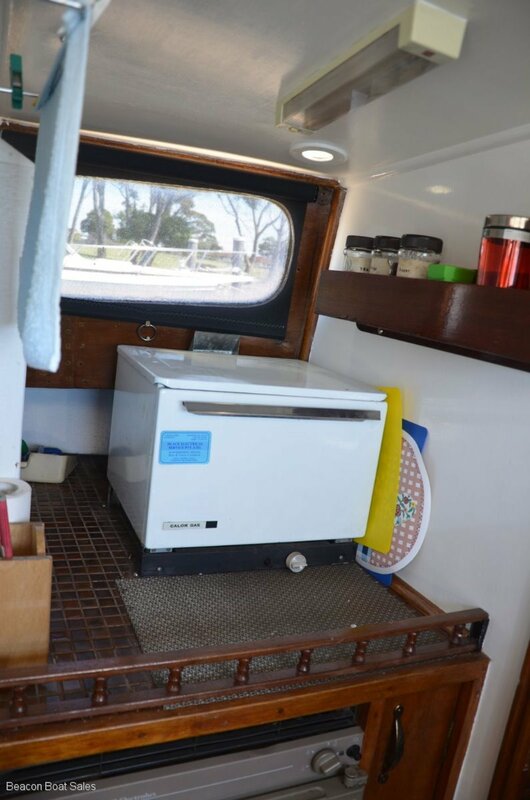 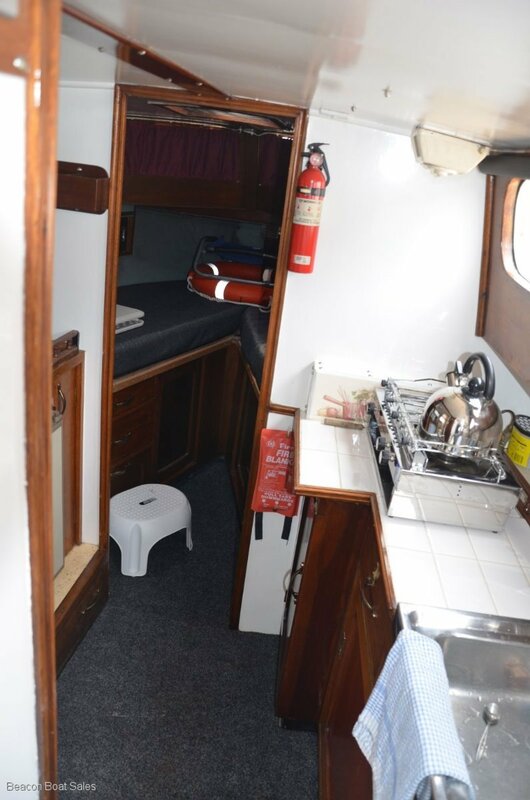 Recently extensively refurbished to include optional remote steering, instant gas HWS, new plastic diesel tank, 100w solar charger w/regulator, new Weber BBQ, new canvas and internal blinds, lockable internal living, fwd queen size Vberth, 2 slide out couch beds etc etc etc.